Aaron Judge went 1 for 18 across four games versus the Boston Red Sox. No, it wasn’t because of the Home Run Derby. That explanation – to use one of many terrible workplace buzzwords – is low hanging fruit. We’ve seen writers like Devan Fink of SB Nation’s Beyond the Box Score break apart that myth, leading us to a word wholly foreign to 2017 for the superstar. 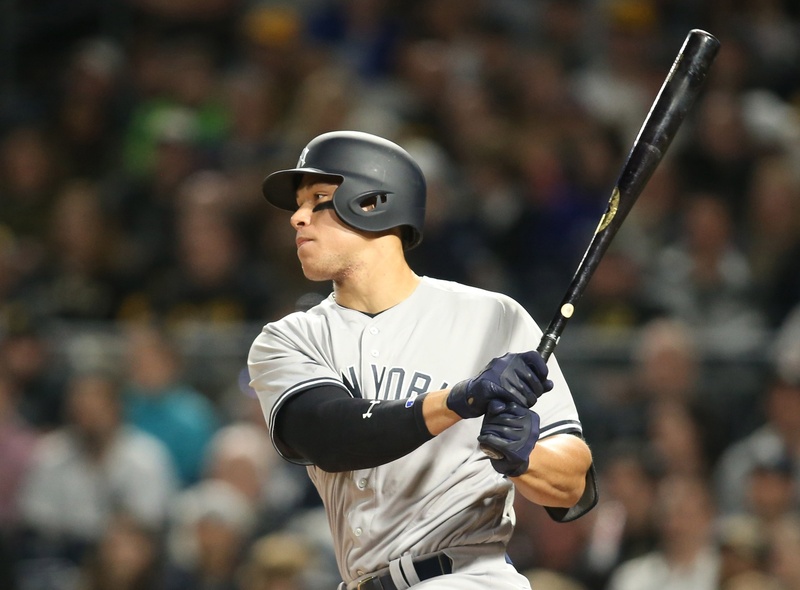 Aaron Judge might be in a slump. I emphasize “might” because other forces have muddied the waters of understanding the problems in Judge’s bat. That force is the Red Sox idea to pitch Judge noticeably different than their predecessors: up in the zone. Whether other teams begin to adopt the same approach will dictate the future of the word “might” in my phrase above. Here is a handy little GIF comparing heatmaps between all of the pitches Judge saw between June 1st, 2017 and the All-Star break, with the 97 he saw in their most recent series against Boston. Why opt for just over a month’s worth of data instead of the whole season? I wanted to bake in the changes pitchers have already made as Judge’s season has progressed. My intuition is to visualize if the Red Sox actually had a distinct approach, or merely copied a trend from prior to their court date (come on, you knew I was going to sneak one in eventually). This looks promising. While the heaviest concentration of pitches doesn’t migrate wildly from what Judge faced in our June 1st to All-Star break bucket, there is a clear movement north. Heatmaps like this are indicators of concentration, so while your eye might dismiss anything that isn’t movement in the darkest part – highest frequency – it’s important to look at the surrounding, lighter colored inkblots for a better sense of trends save the obvious. Elevated pitches, particularly those above the belt and slightly away, seems to have been the gameplan for Farrell and company. Dangerous hitters are often met with breaking balls low and away, as pitchers would rather take their chances with a less threatening bat lower in the lineup. So why would the Red Sox elevate to a hitter like Judge? That’s a shot of Judge’s whiff rate in our June 1st to All-Star break timeframe. You’ll notice some of the deeper red – higher whiff rates – find themselves up in the zone. From the looks of it, the Red Sox saw where Judge was struggling recently, and said, “Hey, we bet you can’t adjust.” It turns out they were right. Actually, that claim may have seen its knees buckle if it wasn’t for Jackie Bradley Jr.’s unbelieveable robbery of Judge late into last Sunday night’s battle. And more importantly, I would have been tasked with adding a clever qualifier to pull out that 417 ft out from our sample if Bradley Jr. was a few inches shorter. Whether the Red Sox determined holes in a player’s swing over small samples actually are predictive is beside the point; their approach worked. Let’s pay some attention to another aspect of the Red Sox’s philosophy employed to stymie Judge. Not only were they elevating pitches, but their staff made sure to lean on fastballs even when they weren’t living at the letters. The phrase, “Challenge him with a fastball,” veered from use on a scattered basis, to use in every Judge at-bat. Only 11 total pitches – roughly 13% – of what Judge saw over the weekend were classified as offspeed; for what it’s worth they were all sliders. The other 87%? 62% four-seamers and 25% two-seamers. Compared to the same bucket from earlier in this column that took us to the All-Star break, Judge saw only about 53% mixed fastballs, a 35% increase. It’s hard to believe the Red Sox merely stumbled into an approach that stands out both visually and statistically. Premeditation is one of the intangible keys to pitching, and I’d venture a guess this idea was championed by a Red Sox who logs a lot of clicks on BrooksBaseball.net in their free time. 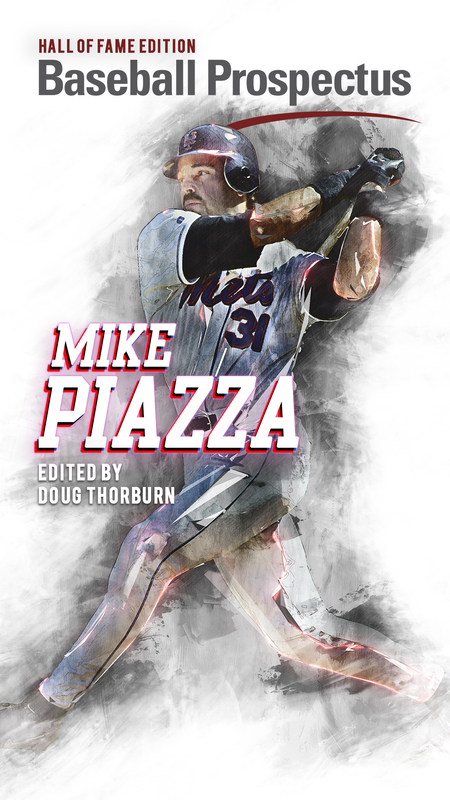 In wondering if the Red Sox’s model would become the norm moving forward – like a similar theory did to combat Mike Trout early in his career – the Twins provide our first indicator that teams may not have taken notice. Below I’ve taken the GIF from above and added a third heatmap to the end. It shows all 46 pitches Judge saw against the Twins in their mid-July series. While the Red Sox’s model continues to distance itself from others, it confounds whether their model was actually more effective, or if Judge is in fact in a slump. Minnesota opted for a much more perplexing approach, yet it didn’t prove substantially less effective. With the Twins living inside and over the plate – both, on the surface, seem like terrible ideas – Judge was 2 for 8 with two singles and two walks. Not nearly as disappointing as the 1 for 18 against the Red Sox, but not exactly breaking out of a rut. This group of pitches from the Twins’ staff is somewhat deceptive because it’s such a small sample, so while I’d like to conclude that the Red Sox’s Model is how you should pitch Judge, we’re going to need a bigger post-Red Sox sample before drawing any profound conclusions. 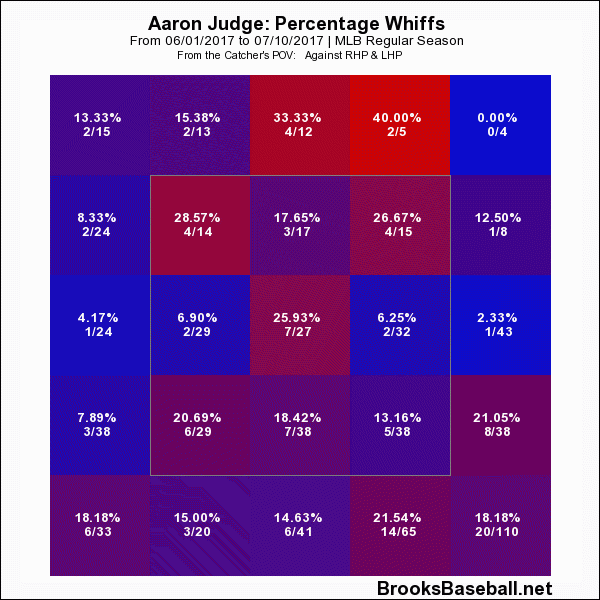 What we can conclude is that the Red Sox did pitch Judge differently than the month prior, and while correlation isn’t necessarily causation, I subjectively think it may have had some effect when combined with the context of Judge’s recent whiff rate up in the zone. 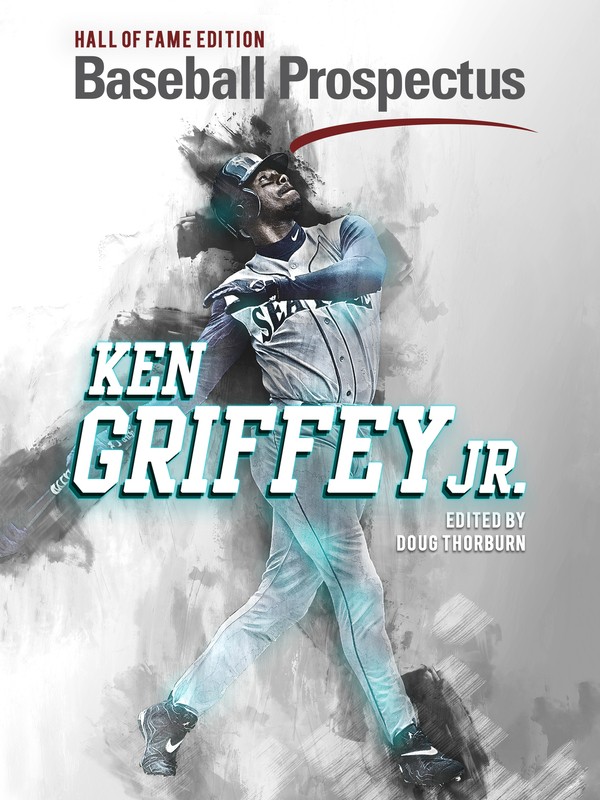 While the Twins’ didn’t follow suit in terms of focusing on pitches hard and up, whether the Mariners will adopt the philosophy in their coming series remains to be seen. The most valuable evidence to support the effectiveness of the Red Sox model is to see Judge revert back to his early-season self, while the Mariners either adopt the Twins’ perplexing pitch distribution, or assimilate themselves to the June 1st to the All-Star break bucket. Or they can go full Red Sox on Judge and prey on his eye-level temptations, and see if the model holds more water than a small-sample skeptic might think.